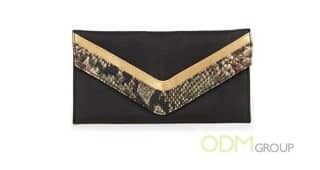 A free fashionable clutch is being given away as a GWP! Simply purchase $75 or over on any item in Macy’s online retail store and you can add this GWP into your checkout cart! This GWP is only limited to one per customer, so hurry and grab them while stock lasts! How can this GWP clutch help you boost sales? 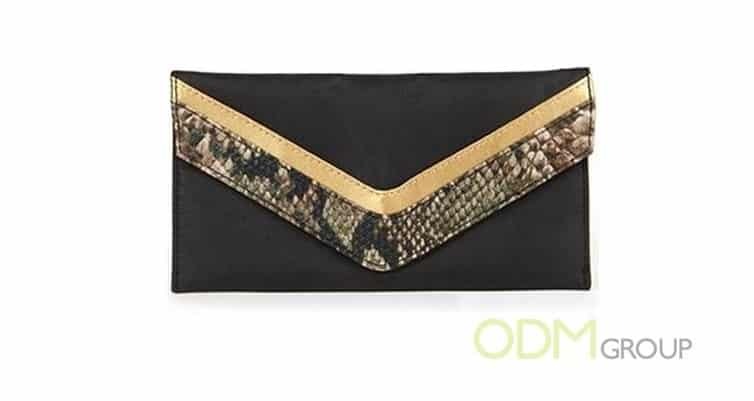 This free GWP clutch acts as an added incentive to attract potential customers to buying your product. With such a stylish complimentary gift clutch being offered as an add-on item, customers feel more valued because they are receiving more than what they paid for! Clutch bags are often associated with luxury, making it a more high-end gift to customers. By offering an attractive GWP clutch, customers are more willing to spend in order to receive it, thus, increasing profits for the company. This is a great method because you are actually using a cheaper item to attract your customer to buy your products, which is definitely of a higher value. Offering GWP also helps boost your company’s image because your company will be seen as one that is generous. When your customers view your company as one that is sincere in pleasing them, they would develop a sense of trust in your brand. This will ultimately lead to repeat purchases from them. A clutch bag also boosts a large surface area to brand your company logo or message. By having your own luxury logo branded on the clutch, this will increase brand awareness for your company. If your customers bring the clutch out all around town, other people will be able to learn of this complimentary gift clutch, so brand recall kicks in. What are you waiting for? Contact ODM today to brainstorm and design your very own complimentary gift for your customers!